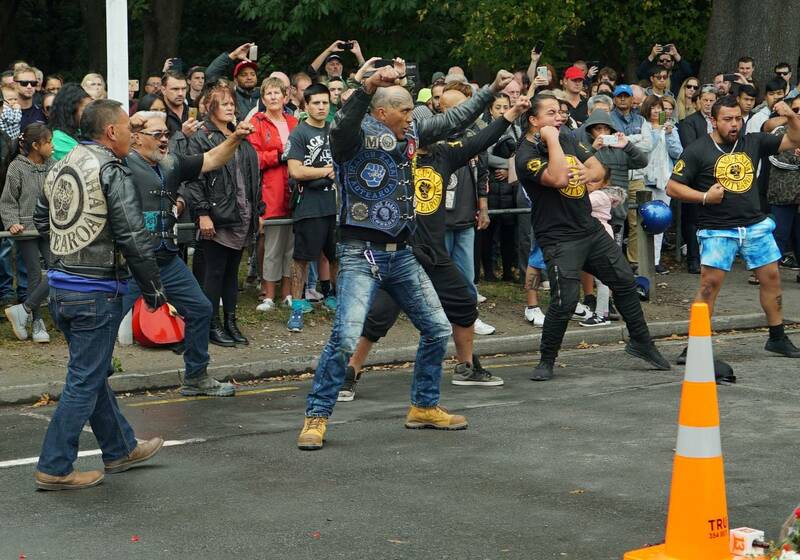 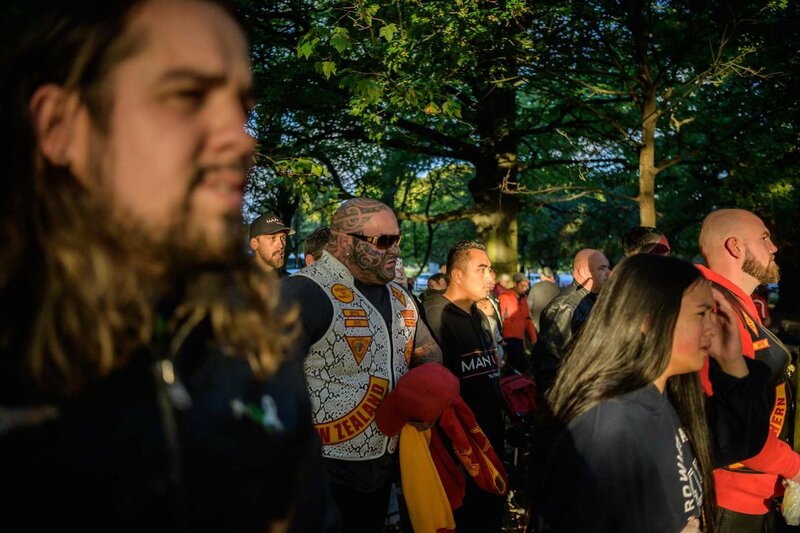 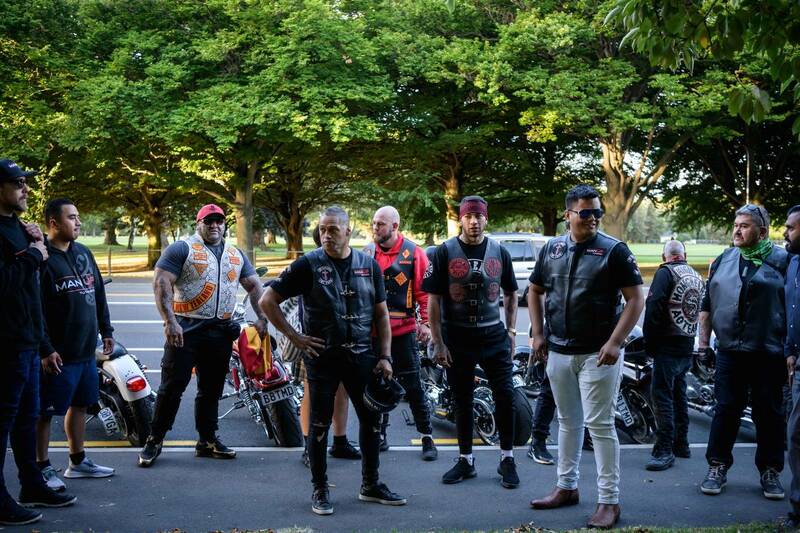 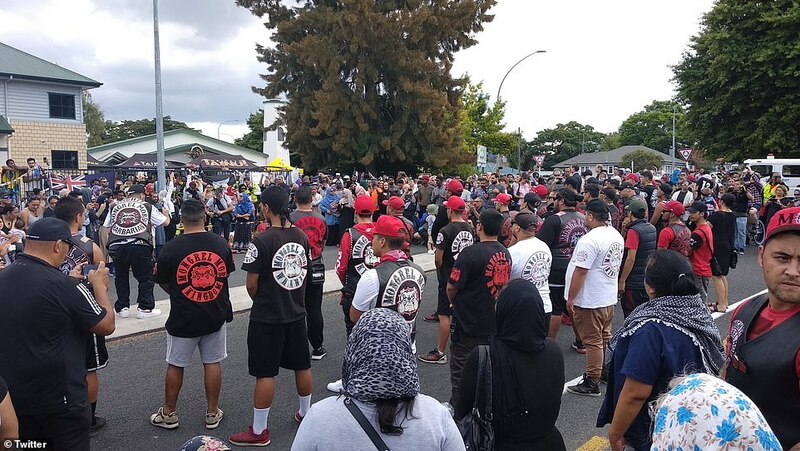 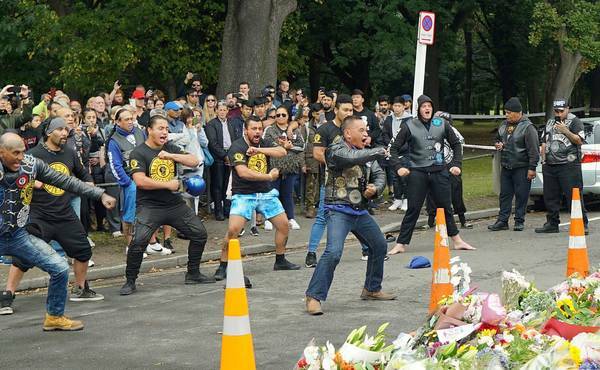 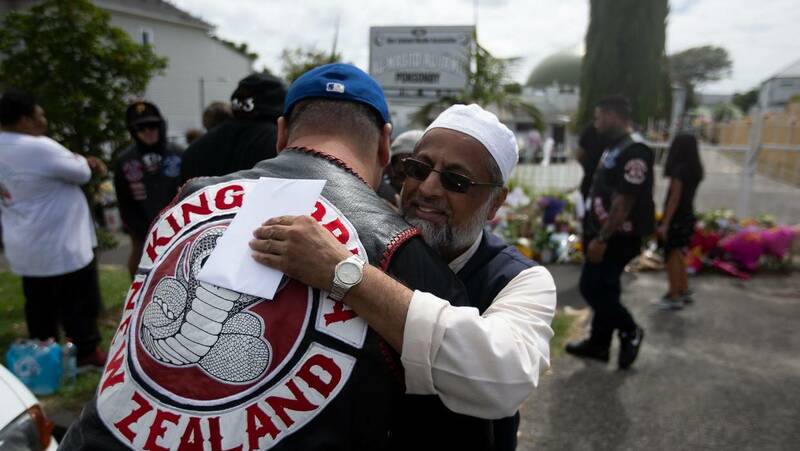 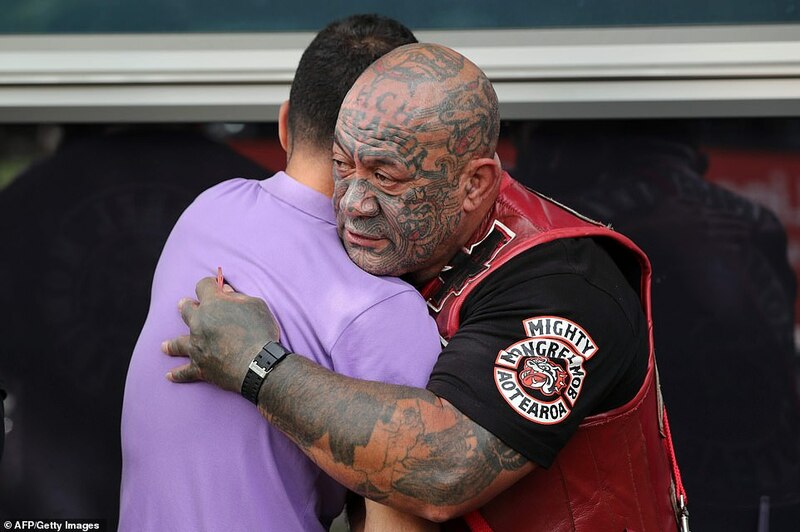 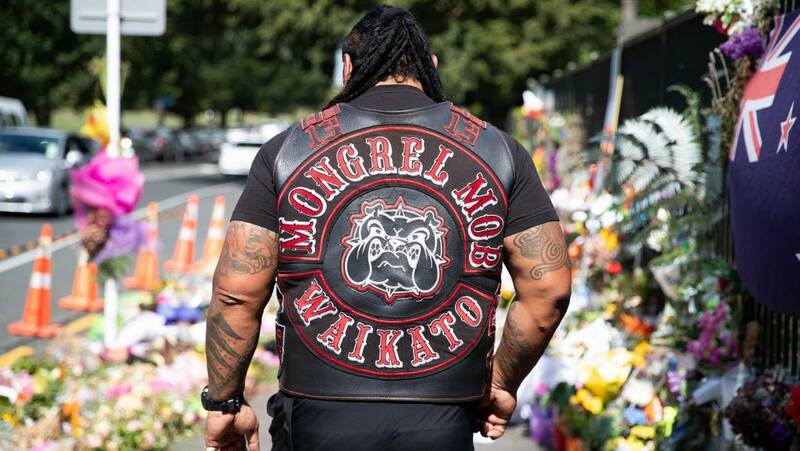 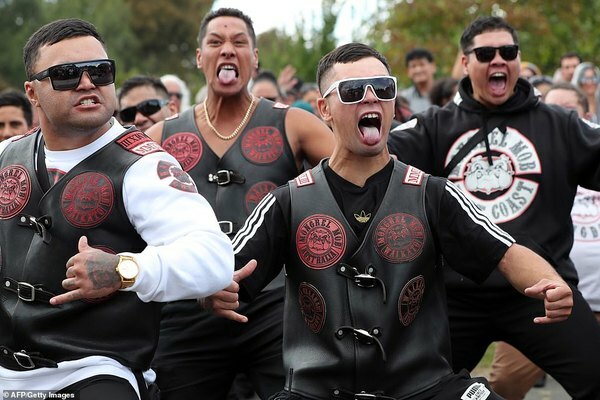 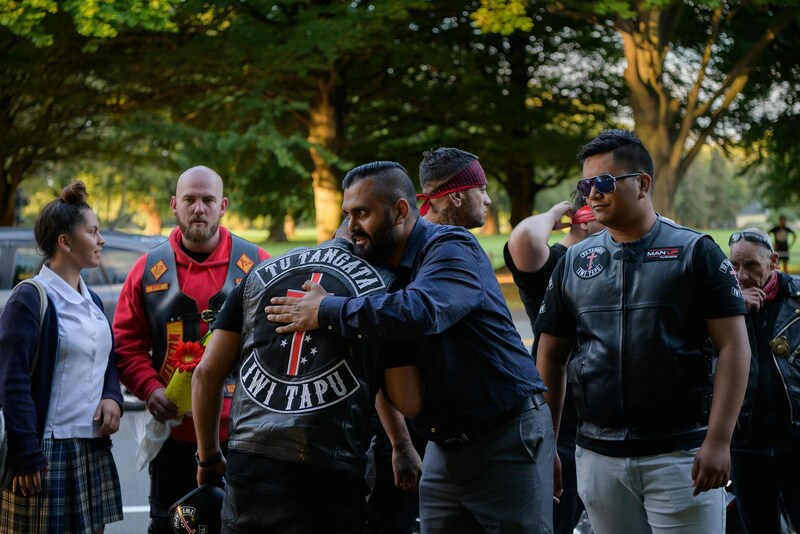 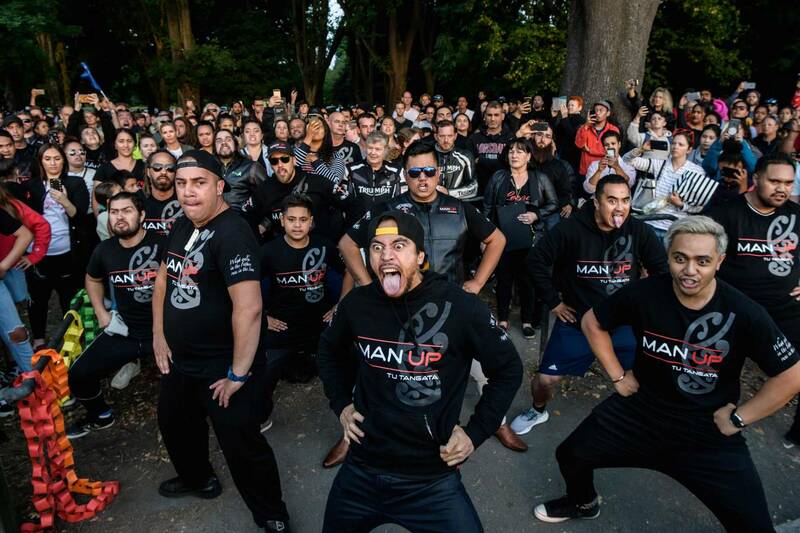 While their appearances can be frightening to some, members of New Zealand's biker gangs prove that they have within them unlimited warm compassion. 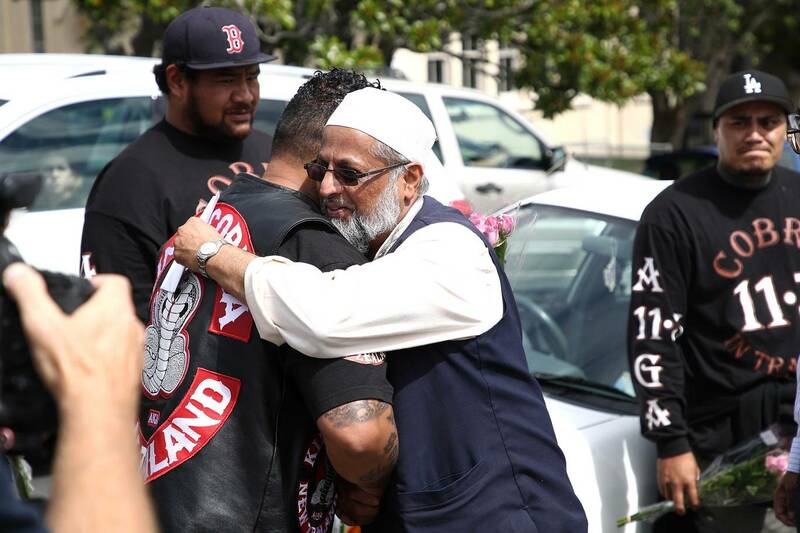 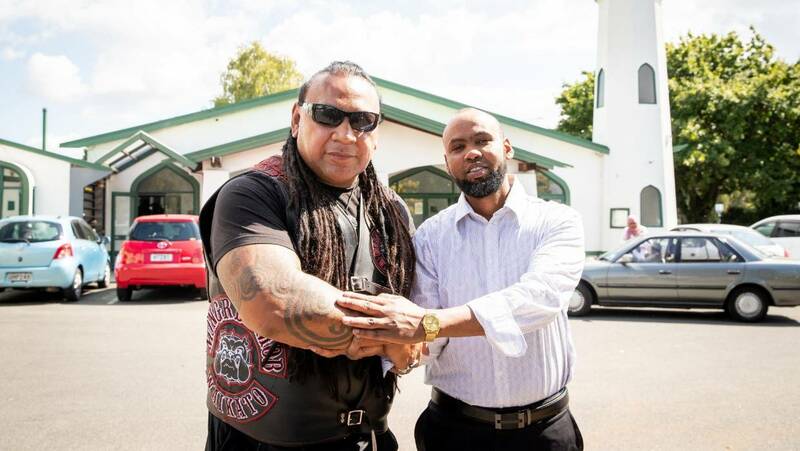 The Mongrel Mob Waikato president Sonny Fatu with Hanad Ibrahim from Jamia Masjid Mosque in Hamilton. 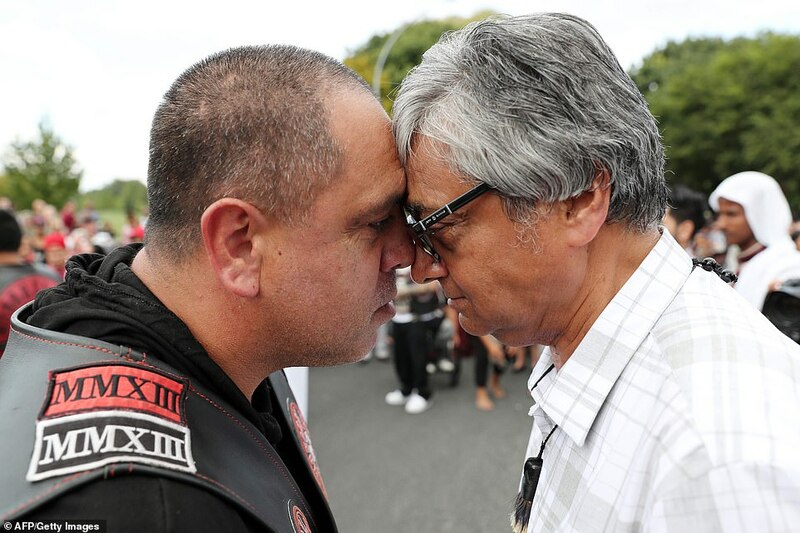 Waikato Muslim Association president Dr Asad Mohsi (right) touches noses in a traditional 'Hongi' greeting with a gang member (left). 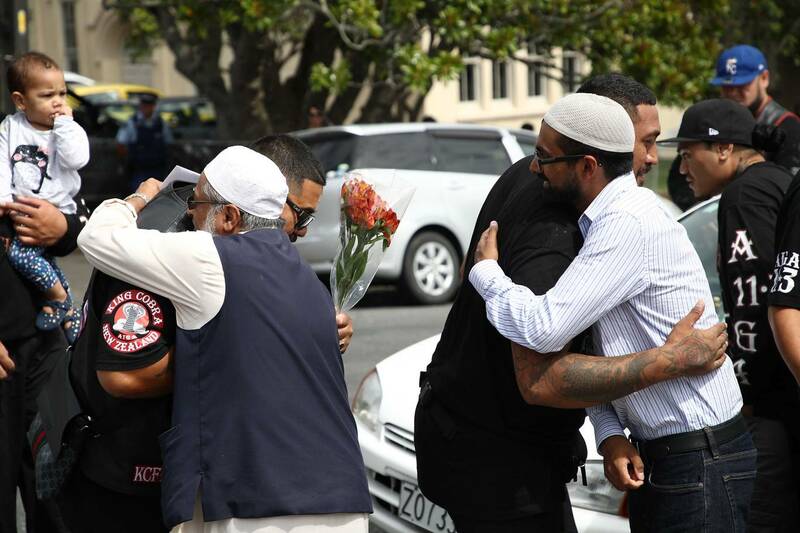 One of the victims, Atta Elayyan, was a well-respected member of the New Zealand gaming community.